Affordable European designed bathroom accessories sets. 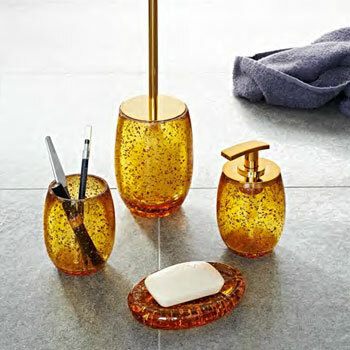 Elegant shiny gold bathroom decor accessories. High quality porcelain bath accessories sets including toilet brush holders, tumblers, gold soap dishes and gold soap dispensers.